VANCOUVER -- Shell Canada Ltd. has given up its offshore exploration rights, clearing the way for the creation of Canada's first protected marine area under the Canada Wildlife Act. The company voluntarily released permits for about 50,000 square kilometres in an area off British Columbia's coast to allow for the creation of the Scott Islands marine National Wildlife Area. 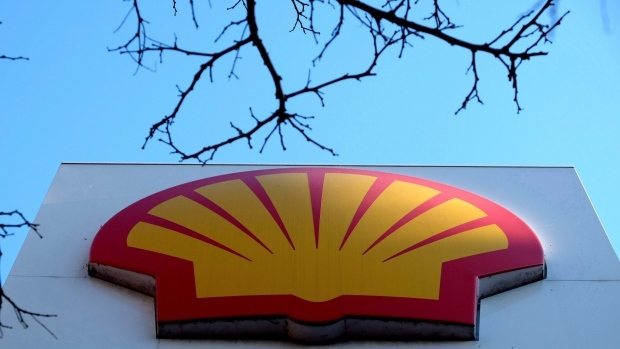 The company's rights cover an area more than one-and-a-half times the size of Vancouver Island, which is hard to value, said Shell Canada president Michael Crothers, at a news conference on Thursday. "I hope we get some goodwill (in return)." Even as Shell continues to explore for oil and gas globally, Crothers said they have no plans to do so off coastal B.C., particularly since the waters off the west coast have been under an exploration moratorium since 1972. In 2016, Shell donated its controversial Arctic energy exploration permits north of Baffin Island to make way for Canada's third national marine protected area. The Scott Islands marine area was established in June, and conserves a vital marine environment for millions of seabirds, fish and mammals on the Pacific coast. The area, covering 11,546 square kilometres, is located off the northwestern tip of Vancouver Island. It provides key ecological breeding and nesting habitat for 40 per cent of the province's seabirds, including 90 per cent of Canada's tufted puffins and 95 per cent of Pacific Canada's common murres, said an Environment Canada news release. The islands attract about five to 10 million migratory birds annually, many of which travel vast distances to feed on the abundance of small fish and zooplankton in the area. It is also important for other species at risk, and wildlife, the release said. Fisheries Minister Jonathan Wilkinson said the federal government will provide $3.2 million over five years in funding for management of the area. This money will also support research and monitoring and help work towards removal of the seabirds' predators. Wilkinson said the existing fisheries restrictions in the area will be maintained and his department is consulting with industry and conservation groups about new regulations that would further protect this area. The regulations would prohibit fishing for certain species that are known to be sources of food for seabirds, he said. "We will also be consulting with fish harvesters about regulations to prohibit groundfish, bottom trawling in portions of the marine national wildlife area." The Canadian Parks and Wilderness Society welcomed the announcement, which comes after nearly 17 years of consultation with federal, provincial and First Nations governments. "I think it's a fantastic move that those permits are going to be gone and they will no longer be a threat that any of those permits will be developed for offshore oil and gas if there's a change in government," said Sabine Jessen, national director of the society. "I actually hope that some of the other companies that continue to hold licenses and permits in the area will follow suit."